We will ensure that you are well prepared for your visit and that you make the most of your valuable time. 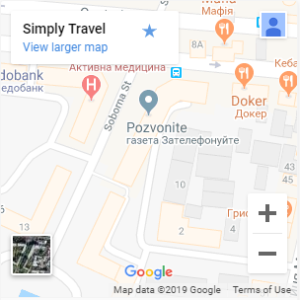 We provide you a detailed and accurate quote based on your individual travel itinerary and requirements – we do not offer a fixed price on all travel to Ukraine. We do not give a broad estimate and considerable work goes into ensuring that you get exactly what you need for your trip at the best prices available, as per your request. An individualised and detailed quote will be provided to you which can be altered as you wish. Tick your optional requirements in the boxes below and submit the form and we will reply to you within 24 hours with your personalised quote and itinerary. The balance is to be paid at the time of booking. We will organize your agenda, accommodation, transfer to and from airport, confirmation dates, excursions, list of places to visit with your dates, 24 emergency support and advice. We are IATA registered and we are able to offer low prices for traveling to Eastern Europe, so we can save you time and money. We will help you to obtain a visa invitation – this is usually the supply of a Confirmation Certificate for travel and accommodation. We can also offer you advice on hiring cars, entertainment, restaurants and extending your stay. Ministry of Foreign Affairs of Ukraine: https://mfa.gov.ua/en. The world will open up for you – make the first step.